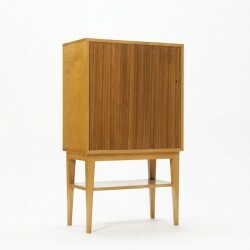 Beautiful cabinet made ​​of birch wood with a teak door. 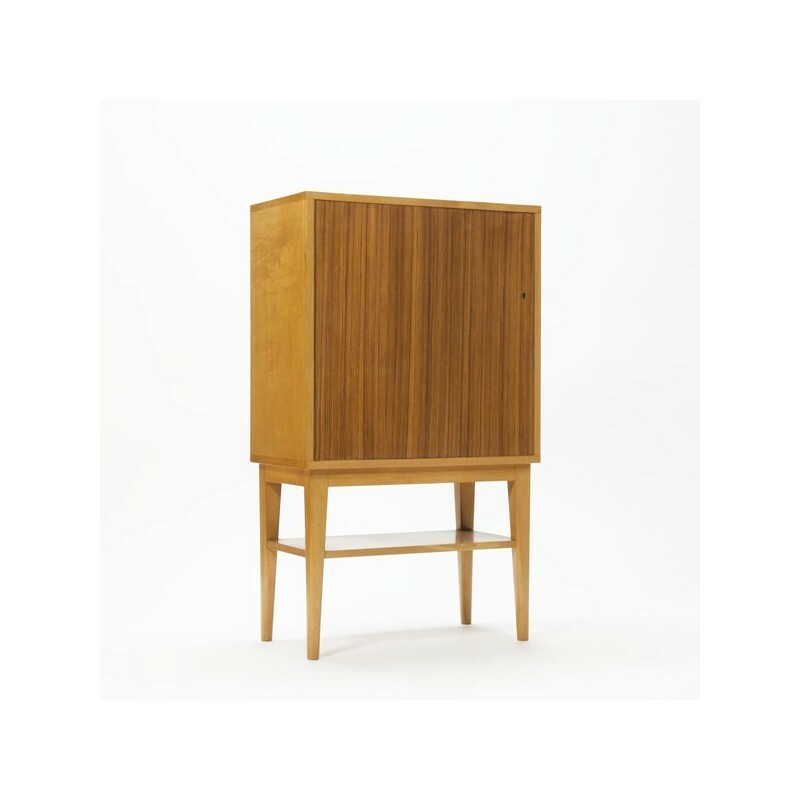 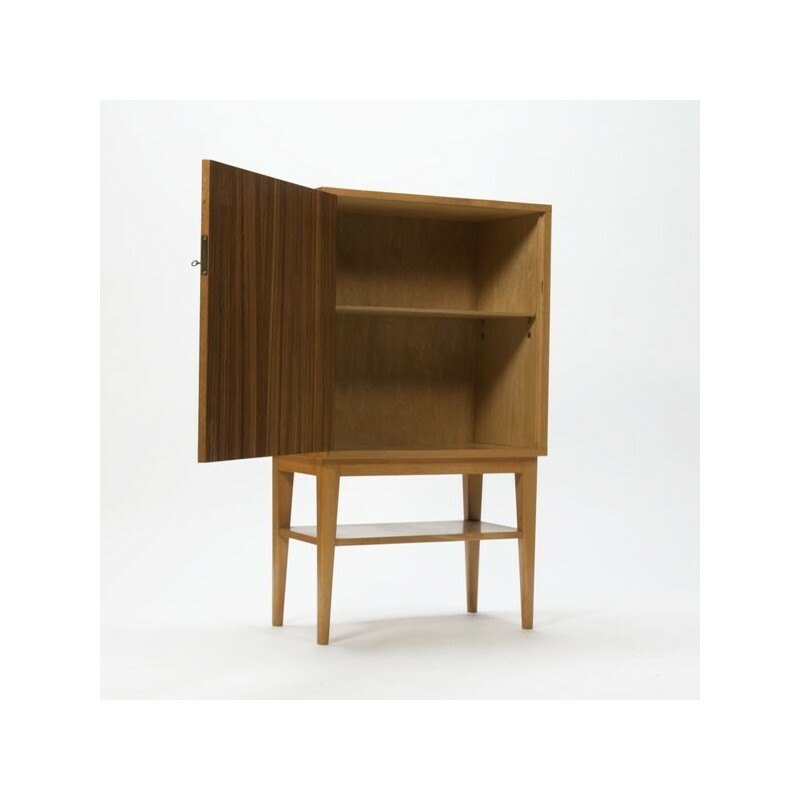 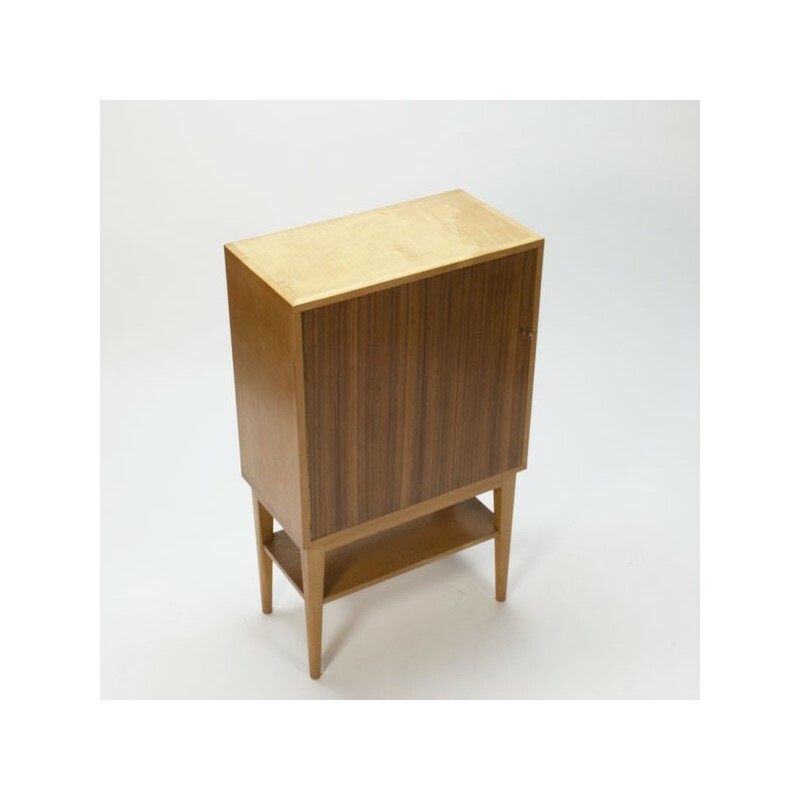 The design and finish of the cabinet suggests that it was designed by Cees Braakman for Pastoe, but we can not substantiate. 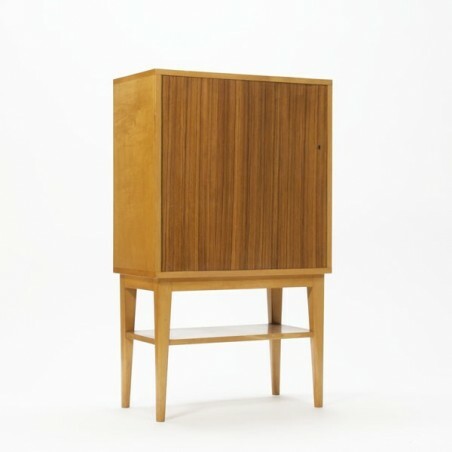 The cabinet stands on a pretty high base and is in good condition considering its age, see the detailed pictures. 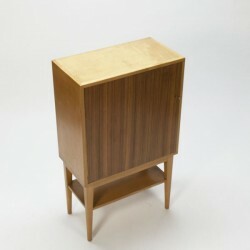 The size is 65 cm L / 35 cm W / 110.5 cm H.